I am going to be busy with grandchildren, etc. this week so I will be taking a four or five day hiatus from blogging. Will miss you. See you soon. He replied, "You give them something to eat." But He said to His disciples, "Have them sit down in groups of about fifty each." The disciples did so, and everybody sat down. Taking the five loaves and the two fish and looking up to heaven, He gave thanks and broke them. Then He gave them to the disciples to set before the people. They all ate and were satisfied, and the disciples picked up twelve basketfuls of broken pieces that were left over. I imagine hearing this young one say something like this, "The crowds have been fed, Master, and these are some of the leftovers. We have been taught since birth of the coming of the Messiah. I believe you are that Messiah. You have fed my stomach, now, Father, would you feed my heart and spirit?" And I imagine Jesus answering her something like this, "My child, my precious child, today I will feed you with eternal bread that will nourish your spirit forever and I will quench your thirst with living waters from wells that will never run dry." This is the age old question from Jesus that each of must answer, "Who do you say that I am?" He longs to satisfy our hunger. I long to be fed the Living Bread. Portions of scripture from Luke 9-NIV. Linking to Spiritual Sundays, an inspirational place to visit. I have featured St. James once before but not since I started linking with Spiritual Sundays. Just thought you might enjoy this beautiful church and sculpture. September is a loaded month for us. Loaded with birthdays, that is! Eat your heart out, Michael. Forty-one and no more dunks although I have to give you credit for knocking loose a couple of b-balls that got stuck between the rim and the backboard last year. You still got most some of it!! Go here, if interested, to see my post from two years ago about our son, Michael's birth. It is evident in this post that I was new to blogging and did not have an editing program. Someday when I have the energy I will go back and edit all of those pictures--crop them, straighten them, adjust the lighting, etc. But for now, I will just enjoy their vintage look. This is the night Boompa took her to the father-daughter sweetheart banquet. Her dad was out of town so Boompa "really reluctantly-haha" stepped in to take his place. He bought her a really sweet wrist corsage. A simple pleasure--looking back over the years as my granddaughter, Kennedy, celebrates her 11th birthday today. God, thank you for this precious child that you have graced our lives with. I pray that you will keep your hand upon her all the days of her life and that she will serve you with joy, enthusiasm, passion, dedication, love and humility. He longs for all of us to be "born again," for old things to become new, for joy to replace mourning, for eternal life to replace certain death. 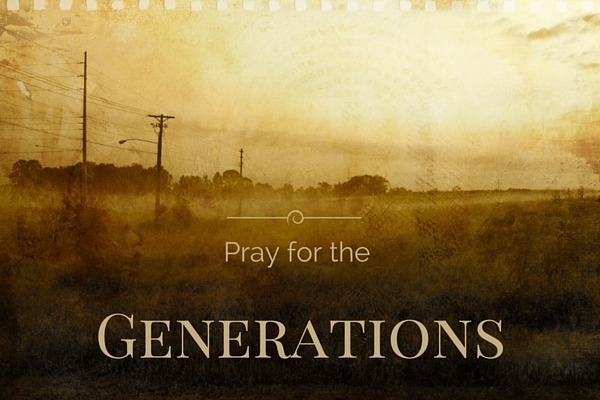 I long for all of my grandchildren to serve the One True and Living God. "Please take care of yourself. There is no one to replace you. Love you all the way up to the sky, and beyond." I just wanted to encourage you to contact with a letter, phone call, email, those in your life who cannot be replaced. Let them know how much you love them today. This post is dedicated to Marilyn, my friend since we were eleven years old. I love you to the sky and beyond also. I wonder how many prayers you have offered up to heaven in my and my family's behalf. More than I can count I am sure. You mean the world to me. Thanks for all the times you have sung to me! He longs to be a friend to us. I long to hear His "new song" and sing one back to Him. Photo taken Sunday, September 12, 2010 about a mile from my home. There are trees surrounding our home and it is hard to see sunsets but we could see the sky on fire through the trees and drove to the edge of our neighborhood. What an awesome performance by our God. I think He must have been singing the Hallelujah chorus! I love these leaves. They look like hearts to me. Just wanted to let all of you know that my heart checked out perfectly after nuclear stress test--no blockages whatsoever. Praise the Lord. My potassium was extremely low so guess that was the culprit for most of the pain etc. Thank you to all who prayed for me and to all who cared. This is a story that happened to me about 15 years ago. The names have been changed to protect the innocent and the guilty. You will understand more as the story unfolds. I write this story only to emphasize the fact that God answers prayer and sometimes in the most dramatic fashion. Boy, it is really hard naming characters and these names are not very good--the story would be sooooooooooo much better if I could use the real names. While teaching 5th grade several years ago in the projects in another city, two of my students were really acting up. Now this was not unusual for Toby and Rodney, but their antics on this day seemed to be worse than the norm, which was not norm for when I taught in the mid-60's I might add. Ever heard of antithesis or dichotomy?? Finally, I decided to take the guys out in the hall and see if I could find out what was really going down. They were good friends and lived in the same apartment complex so they were used to the other knowing all their business. Toby told me that his brother, Monchez (yes, I have changed the name but it was a name not unlike Monchez and one that I had never heard before--an important part of the story I think), was involved in a gang and that things were getting really hot and that he was afraid that Monchez was going to get killed. He started to cry. He was one of my toughest-acting kids so I figured it was probably true and not just some ploy to get out of the trouble he was in with me. The ONLY thing I knew to do was to tell him that I would pray for Monchez. And as best as I can remember, that is exactly what I went home and did that evening. That really was my only recourse I thought. I wonder why our greatest resource seems like our only recourse at times? How can we get that mixed up? At school the next day, our teacher-parent liason named Rita came up to me and said, "I don't know what to do. Quinn has been missing for over a week." Quinn was her teen-aged nephew from New Orleans who had been living with her family for a few months. I had met Quinn through my friendship with Rita. Her family, along with Quinn, had visited our church a few times. Quinn seemed to be mad at the world. He sat on the back row at church and seemingly dared people to come shake hands with him. But I did. And he would, very reluctantly, give me a cold-fish handshake and speak to me under his breath. At that particular point in time, I was used to making home visits (we, as a school, implemented home visits in an attempt to create more parental involvement) in this crime-infested area of our city. Working in the projects was not easy but it was one of the most rewarding things I ever did in my life. And the kids, oh, how I loved those children. When Rita told me that Quinn was missing, I told her that we would go looking for him that afternoon after school. She lived in the general area but not smack dab in the middle of the 2nd highest crime rate area of our city as so many of our students did. We figured that he was hanging out with gang members somewhere in that area. She had brought him from New Orleans to get him away from the gang members who lived in his area there. We had no more than arrived in this depressing area, when from several blocks away, we spotted two older teen-aged boys walking towards us. We had taken my car so that Quinn would not be tempted to run away if and when he saw Rita's. Rita was slinking down in the seat so that Quinn would not see her so I told her that I would go get him. I got out of the car and started walking towards them. Of all things, he was with a kid that I had taught some years before and was now all grown up. Well, in body that is. The first week I had this kid, I knew something was terribly wrong and I went straight to his apartment one day right after school to find out what I could do to help him. I learned that David had watched his father get shot when he was just a little tyke. His living arrangements on that particular day didn't seem to foretell of anything much better to come. Years before, someone had carved several letters into David's face. It was hard to tell because they hadn't healed well, but I don't think they spelled anything nice. He would end up in a straight jacket on the psychiatric floor of a hospital later on. I can't remember if it was the same year I taught him or not. His demeanor was quite menacing at 18 years of age. David had on a pair of bright-colored fuzzy gloves. I won't say the color because it would give away the particular gang name. I think deep-down he had respected me as a teacher, but he was acting in his same old tough manner. I walked up to Quinn and told him that his aunt was worried sick about him and that I had come to get him and take him home. Believe it or not, he compliantly walked with me to the car a block or so away. David, (I want to write his real name so badly) seemed to disapear into the background. I told him to get in the car and he presented no argument, did what I said and we drove back to Rita' house. When we got there, I asked her if I could talk to him for a few minutes so she left and went into the house. I explained to Quinn that God had a wonderful plan for his life, loved him, and had sent His Son to die on the cross for him. We talked and prayed together and I felt like it was a very productive time. About this time, he asked me if I could take him back to the old neighborhood to get some of his things. His uncle walked out of the house right then and I told him I would if it was okay with Dan, Rita's husband. Dan said it was okay so we left to go get his things. One week ago today--a tragic accident on Interstate 30 here in the Little Rock area--a life snuffed out in the twinkling of an eye. We do not understand. Our hearts grieve especially for those who loved "the lift man" so much. This is a tribute to him. Neil Melton, "the lift man," as I have chosen to call him, was the father of my nephew's wife. I had been around him on occasion--for either occasions filled with elation or times of tragedy--births, weddings, accidents. I couldn't say that I really knew him that personally although I visited with him periodically through the years. What I could say was that he seemed to be a quiet spoken, gentle man. As I sat at his celebration service last Friday, I was awed by the things that were said about him: no one had ever heard him raise his voice in anger; he was always there for his wife, his children, his grandchildren; those he had worked with for half a century had never seen him lose his cool, heard him say an unkind or harsh word to a co-worker; he always made those working with him, even lowly apprentices, feel as though they were part of the answer to the problem of figuring out difficult technical and mechanical problems. He was an elevator engineer. Those who spoke about him referred to his transparency. It was said that he never preached his religion but that Jesus' light shone through him. His sermons were preached with no words, just right living and responding. As the pastor of the church where his service was held spoke of him and his willingness to help keep everything working properly because of his mechanical expertise, he mentioned having lived in England for a period of time. Across the ocean, when an elevator malfunctions, they call the "lift man" to come fix it. Elevators are referred to as "the lift." The minute the pastor said that, I knew Neil Melton would forever be known in my mind as "the lift man." Everywhere he went, he not only fixed the problem of the elevator in question, but lifted the spirits of those around him. What an incredible testament to one's life. So, if I could have one prayer granted today it would be that the words of this blog would always uplift you in spirit and would uplift Jesus, the Son of the Living God. Photo: I took this photo of a sculpture at the beautiful Anthony Chapel, Garvin Gardens, Hot Springs, AR a couple of years ago. I had always thought it looked like an elevator so naturally when I thought of Neil, the elevator engineer, lifting people's spirits to heaven, I thought of this picture. This past Sunday afternoon while on a leisurely drive with my husband, I thought we had found a gold mine when we saw this old church. My husband started down a road that didn't seem to have any possibilities but we hadn't gone a half mile when we spotted her--the old ship of Zion. I was instantly taken back to the mid-twentieth century and days of my childhood church. This looks almost exactly like my old church except this one is about twice as wide and we didn't have the steeple box up on top--maybe a really small one--it is hard to remember some of the architectural details. I was not tall enough to see inside but held my camera up to the window to get a picture of the inside. You can see the reflection of my sunglasses in lower right section of picture. When I reviewed the picture on the LCD screen, you can imagine my utter joy when I saw the old pot-bellied stove. So many memories--so much the same--except we did not have pews nearly this nice. Ours were made out of wooden slats and had quite a bit of space between each slat--any extra flesh would kinda get caught in betwixt and between those slats and actually could be very painful after an hour-long sermon. Won't you just imagine with me for a moment what it must have been like to worship in this old church. Wonder who played the guitar, the piano, the mandolin, the auto-harp, the fiddle or the tambourines. Wonder what the men wore, did the women have high-topped shoes, what were the children dressed in? Were there pallets made on the floor for the little ones to sleep on? Wonder if they reserved the seats closest to the old pot-bellied stove for the little children and older members. Just for a moment, let my mind reflect Lord--but only for a moment--because life is for the living, for the here and now, I need to be present in the moment--make each one of them count for eternity. But oh, Lord, how I thank you for stumbling upon this old church--for the memories, for those gone before who paved the way for us, for all the prayers of all the dear saints who darkened these church doors. My heart sings, Father, as I think of the heritage that was forged between these old walls by men and women who lived such simple lives but lived them with dignity, peace and love. Oh, Lord, we are so much more "sophisticated" now--whatever that means--but won't you please send an old-fashioned revival to our land, another Great Awakening. We need you so desperately, Dear Father. We don't even realize how desperate we are for you--please come and fill us to overflowing once again. How you will do it, I have no clue. The message will be the same but the method is sure to be different in this "different" world that we live it. But we trust you, God, to meet each of us, right where we are. Touch us with the power of your Holy Spirit. We long to worship you in spirit and in truth. she may waver, she may falter at times on an unsteady sea-- but she will prevail. He longs to find those who are truly seeking for a spiritual awakening. I long to long for Him more fervently. I am linking to Spiritual Sundays, an inspirational place to gather and worship. The antidote for the above philosophy is this: God says in Joel 2:25: "I will restore to you the years that the swarming locust has eaten--"
Have you ever wasted any minutes, hours, days, weeks, months, or years that you wish you could get back? I have. In scripture it was very important to give of their firstfruits. Ex 23:16 "Celebrate the Feast of Harvest with the firstfruits of the crops you sow in your field." I encourage you to give of your firstfruits of time to God. God will impress upon you what time of day He wants you to give to Him--whether early morning, mid-day, or evening. Many heroes of the faith in the Bible gave of their time several times a day. This might be something that you want to consider. For me, it had to be early or I couldn't seem to get it done. Raising three sons, it seemed there were too many interruptions after that to give God His proper time and attention. But this is a very personal decision. When we are serious about establishing a relationship with Him, He will give us wisdom regarding our time and the choices that we make and I truly believe He will multiply our time back to us in ways that we could never dream of. He will fine tune all the cogs and dials, the springs and coils to make this happen--after all, He hurled time into this universe thousands of years ago--He who is timeless and has always existed, not only understands it but created it. He will be the mainspring that sets our lives into motion--the orchestrated timepiece it was meant to be. Who of us will have more time tomorrow than we have today to spend with Him? God says to test Him in our giving. Does that mean just the giving of our money or can we trust that He will pour out the windows of heaven and give us a blessing we cannot contain concerning all of our resources including that of our time? While researching clocks for this post, I came across this interesting definition of a mainspring on Wikipedia. A mainspring is a spiral spring of metal ribbon that is the power source in mechanical watches and some clocks. Winding the timepiece, by turning a knob or key, stores energy in the mainspring by twisting the spiral tighter. The force of the mainspring then turns the clock's wheels as it unwinds, until the next winding is needed. I don't know about you but I need my mainspring wound daily so that I have the spiritual energy to get through each day successfully. So the turning of the knob or key would be synonymous with prayer and connecting with this power source. You will notice that all of the clocks are set for almost midnight. We still have time to pray for our family, we still have time to pray for our friends, we still have time to pray for our colleagues, we still have time to pray for all the people around the world who do not know this Savior. Let's make these last few minutes count for all eternity. Lord, let me never resent the time I spend alone with you but rather let me look forward to it with an anxious heart as one who waits for the lover of her soul. Truly, Father, you are the Lover of my Soul, the only one who is totally faithful, totally dependable, totally loving, totally gracious, totally merciful, and totally amazing. Time--such a simple thing--but one which can bring us great pleasure and treasure if we use it wisely. I am linking to Simple Pleasures today. God wants us to enjoy all the simple pleasures He has created for us. He just wants to enjoy it with us! Hope your day is bright and sunny, at least in your heart and spirit. A partial reprint from past pages. I had an idea to create a book for Katelyn with the topic being: “What I wish I had known at 16.” I only have so much to say, but thought it would be great to get wisdom from other ladies who have been a part of her life. What follows is written to my granddaughter, Katelyn, on the event of her sixteenth birthday. *that grandmothers aren't really old-fogeys--I wish I had known that their hearts feel like they are sixteen forever. *the difference between head knowledge and heart knowledge and the wisdom to use it in a timely manner. *how important it is to keep a log of my life. Corrie Ten Boom says, "Memories are not the key to the past but to the future." I would have journaled so much more. *that gossip is anything (whether true or untrue) about a person that could bring them unhappiness, a pain in the heart, a feeling of rejection. *that an unjust word spoken about me or those close to me is like a darting swallow, seldom finding a place to rest. If you have never watched a fluttering sparrow or a darting swallow, make it a point to and this proverb will come alive for you. *that everything that happens to me will work out for my good and God's glory, if I am following God's precepts. It is our responsibility to know what it means to love God and to act upon that knowledge with wisdom from above. The Bible says if we love God, we will follow His commandments. *and that even when I am not following His precepts, He can change ashes to beauty in the twinkling of an eye when I exhibit true repentance. Yes, there are consequences to pay for my actions, but true restoration awaits those with a repentant heart. *how important it is to follow His precepts in every thought, every word, every action of my life. *how important it is to allow only wholesome reading, listening and viewing material into my heart, my mind, my spirit. *the joy of spending quality daily time alone with this great God of our Universe. *that it is okay to be me; to walk, to dance to the beat of a different drummer. *that just because I am the only one standing up for a cause doesn't mean that cause is wrong. And if you think one can't make a difference, take a look at this incredible photograph by Anita Robertson. We are so proud of you on so many levels; for your dedication to your education, your passion for God and missions, the way you stand up for what you think is right--your courage. All of these are gifts that God has given you and you are choosing to use them in the right way. But keep humility uppermost in mind, knowing that except for the grace and mercy of God any of us can make a wrong choice at any given moment. That is why it is imperative to stay in God's Word, to seek Him daily and to acknowledge our total helplessness apart from Him. This is but the tip of the iceberg of the things I wish I had known. Always remember that God's mercies begin afresh every morning and ours should also. When we can do this, we will have become a little more like our Savior and that should be our goal. Happy 16th birthday. I can hardly believe these years have passed this fast. P.S. We need to have another photography session and SOON! One of the best birthday gifts ever!